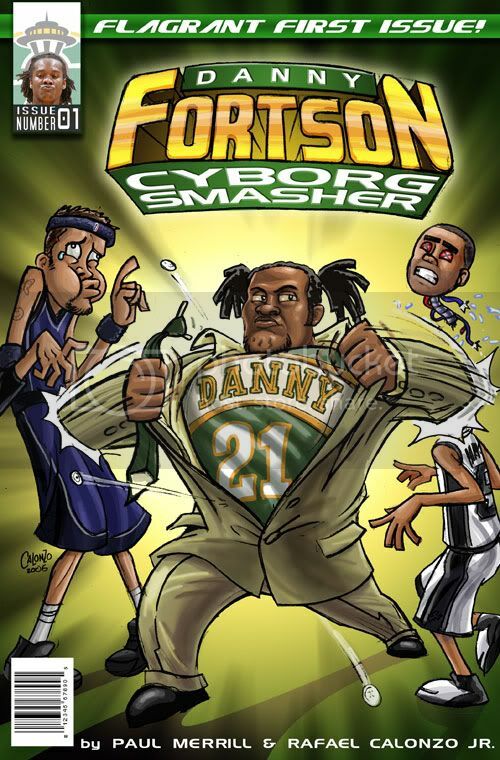 With thanks to reader Rich King, we can report that the Sonics have inked the Eurotrashiest man in Puget Sound to a one-year deal. That's right, Vladimir Radmanovic is back in the green and gold, for one more year at least. “We’re happy Vladimir has decided to return to the Sonics," Sund said. I think it's safe to say that Vladimir has decided to return to the Sonics in much the same way that the French "decided" to install a puppet Nazi regime in 1942. Radman, like the Vichy French, had no choice. We can debate this until we're all blue in the face, but I'll come out and say that signing Radman to anything resembling what he was asking previously is foolish, and that the Sonics are better off letting him play for one year and then letting him walk away. Its a good thing for sure. Having too much talent is a good problem to have. What the heck, lets just start him and collison. thats 3 players at 6' 10", so its not like we're so small. I think that those player pair stats also indicated that Vlade learns how to rebound when he and Nick are together. We can make a deadline deal if need be. He can veto trades though, correct? "84. When can't a player be traded? Can players be given "no-trade" clauses in their contracts? "When the player is playing under a one-year contract and will have Larry Bird or Early Bird rights at the end of the contract. Note: This includes first round draft picks following their fourth (option) season, who accept their team's qualifying offer for their fifth season." To me, unless this information has changed with the new CBA, this means that Vlade cannot be traded without his consent; in fact, depending upon your interpretation, it means he can't be dealt even if HE wants to go. I think having Radman in another contract year, this time even more important for him, will end up being a very good thing. This could be our year (yeah right but it's September). I also think that a starting lineup with him and Collison is not the worst idea in the world, but that leaves us with no offense to come off the bench (no one say Flip Murray - he is off the team if there is a god). We could be the first team ever with a designated fouling sixth man. I'm not sure what else we could do. His agent was asking for what, 50 million? For a player that's never averaged even 12 points a game and seems to have an injury bug. It will be a tough pill to swallow if he walks for nothing, but I can definitely appreciate the budget restraint in this case. Best case scenario. They've got the right mix for this year's squad and can worry about next year next year (under Coach Sikma). I'm just about to buy my tickets and now have some confidence that, at least on paper, the Sonics should be able to compete with the league's better teams and play some pretty entertaining ball. wonder if the shootin slav will create a ruckus when he doesnt get to start. According to the Miami Herald, Gary Payton will be joining Shaq in a Heat jersey this season. His salary is expected to be $1.1 mil. The Heat can talk all they want about how Gary will come off the bench and he's comfortable backing up Jason Williams at the point. But does anyone honestly expect Gary to be sitting at the end of the 4th Q when the game's in the balance? I don't know about you, but I'd much rather trust the ball in the hands of GP than Williams any day. Seems like the Heat have gotten themselves a poor-mans version of the 2004 Lakers. I guess we'll see how it works out. And yes, I'd still rather see GP with the ball than white chocolate. I don't know if I've ever seen anyone's wheels fall off as quick as Gary's though. GP vs. Chauncey Billups was the turning point, when the glove turned into the oven-mit, always getting burned. I think Radman will help us. I mean, we had like 9 guys in his situation last year and it worked very well. He should play defense and rebound, as those are effort things and he will make every effort possible to get that money, dollar dollar bill yall. 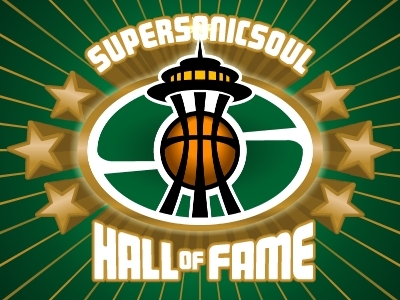 The Seattle Supersonics, due to the rules and regulations, can't trade Vladimir Radmanovic this season. At any rate, Radmanovic will need to play very well this season, so as to prove himself to other teams throughout the NBA. In the end, ultimately, the only negative consequence regarding the re-signing of Radmanovic to a one-year, $3,166,155 contract is that the Supersonics will not get any compensation in return for him if he is to leave and sign elsewhere as an unrestricted free-agent during the next off-season. Ray Allen injury/Rick Brunson suckery insurance. Its always nice to have 20 pts waiting in the wings for when Ray goes down. Nothing WRONG with this move really... Flip's young too, he might just learn to pass, play d, and take good shots this year. Or not. Wow! Flip wanted 6 years, 30 million. Do him and Vlade have the same agent filling their heads with sunshine and sugar pops? They are insane. I can't believe they think they are worth that much, and that someone else tells them they are. I for one am glad the Sonics, or anyone else for that matter, didn't pay them that much.